DogsBite.org - In April 2011, the Annals of Surgery published a study about severe and fatal injuries inflicted by pit bulls, Mortality, Mauling and Maiming by Vicious Dogs, produced by Texas doctors. The study concluded: "Attacks by pit bulls are associated with higher morbidity rates, higher hospital charges, and a higher risk of death than are attacks by other breeds of dogs. Strict regulation of pit bulls may substantially reduce the US mortality rates related to dog bites." The study enraged pro-pit bull advocacy groups. On April 26, 2012 the Maryland Court of Appeals issued its landmark ruling Tracey v. Solesky that declared pit bulls inherently dangerous and attached strict liability when a pit bull attacks a person. This liability is extended to the landlord when a tenant's pit bull attacks, as was the case in Solesky. The Court cited the entire abstract of the Texas medical study in its opinion. This further enraged pit bull advocates and animal welfare groups that opposed the Court's decision. In May 2012, Karen Delise of the National Canine Research Council, an entity that produces pro-pit bull propaganda ad nauseum, sent an e-letter of complaint to the Annals of Surgery about the study, berating the doctors. Delise's letter was recently posted to a forum board (scroll to read E-kul's comments). In July 2012, a board member of DogsBite.org wrote a rebuttal to Delise's e-letter. Due to submission technology difficulties, the journal did not receive this response. DogsBite.org is publishing it now for the record. Carol Miller RN Disclosure: Board Member of DogsBite.org, a national dog bite victims’ group dedicated to reducing serious dog attacks. Regarding the recent e-letter to the editor of the Annals of Surgery written by Karen Delise, Licensed Vet Tech (LVT) with her thoughts on the April 2011 publication of, Mortality, Mauling, and Maiming by Vicious Dogs by Doctors Bini, Cohen et al. Full disclosure by Ms. Delise would have shown that the National Canine Research Council, LLC is owned by the same individual that owns Animal Farm Foundation whose mission statement is: “Securing equal treatment and opportunity for ‘Pit Bull’ dogs.” I believe that this breed-specific advocacy viewpoint may color Ms. Delise’s remarks. I find significant errors in Ms. Delise’s arguments. First, she takes issue with a case presentation. She states that there is “no documented evidence from any authority that either dog involved in the incident were pit bulls.” The mauling death of an 11 month old baby is hardly an occurrence I would classify as an “incident.” Ms. Delise fails to recognize that the dogs involved were owned by the baby’s grandmother, who was present during the attack that occurred in her own home. The grandmother would presumably know what kind of dogs she owned. 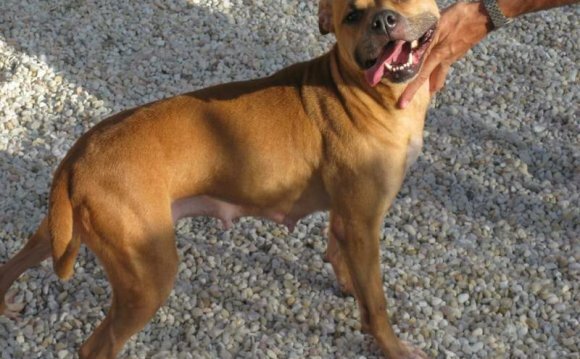 Furthermore, the grandmother was later charged with a first-degree felony because it was not the first or second time her two “pit bulls” had shown aggressive behavior.